She started cooking at the age of 17 and now runs her own restaurant empire in one of the most competitive markets in the country. 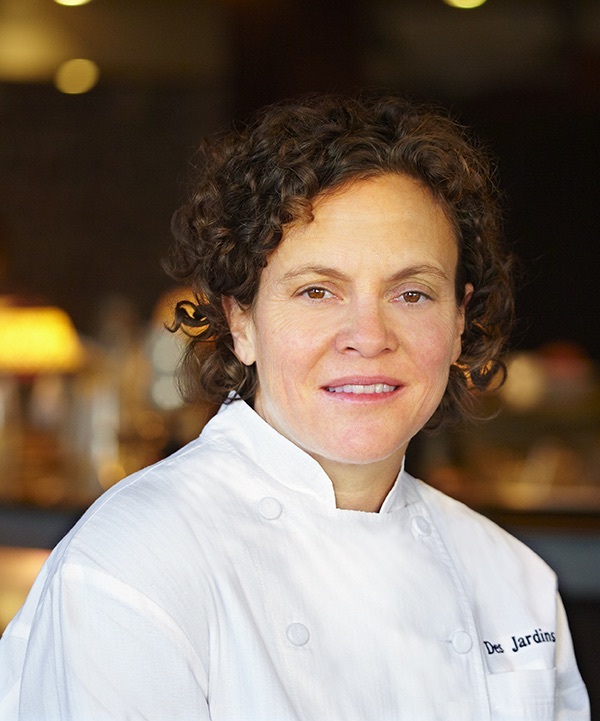 Traci Des Jardins joins us to talk about her illustrious career and how things are going at her–count them–seven spots in San Francisco: Jardiniere, Mijita Cocina Mexicana, Public House, The Commissary, Arguello, TRANSIT, and School Night. Traci has been cooking for decades, but she loves what’s new and next, and fills us in on her sweet collab with ice cream phenom Salt & Straw and the reason she’s serving the plant-based Impossible Burger at Jardiniere, which turned 20 last year. Traci also gives us her state of the industry as far as women are concerned and her thoughts on the #MeToo movement. One of her takeaways: Let’s give more attention to the people in this business doing the right thing. Episode 171 | Bake, Jessie, Bake!